Are you thinking of study abroad and do not know where to start? You probably know there are lots of benefits of studying abroad – from experiencing new cultures and making friends from around the world, to boosting your employment prospects. 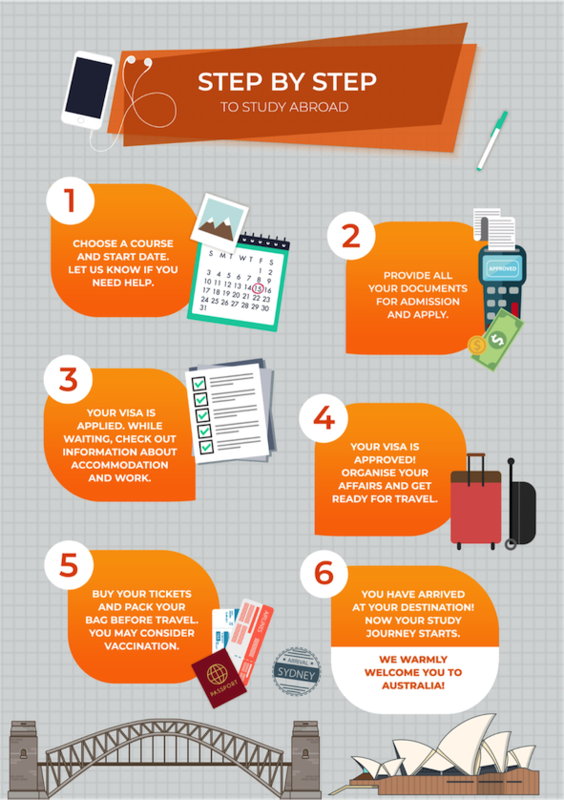 Get to know now the best steps for studying abroad in the infographic below, and get motivated to immerse yourself in the study abroad experience!